The Sheikh Abdullah Al Salem Cultural Centre is one of the world's largest cultural complexes in the world. This cultural district is a celebration of the scientific and cultural achievements of mankind. The cultural centre consists of five museums covering Natural History, Science, Fine Arts, Islamic Heritage and Space. It includes 22 display halls with total exhibit area of 22,000 square meters making it one of the largest museum projects in the world. 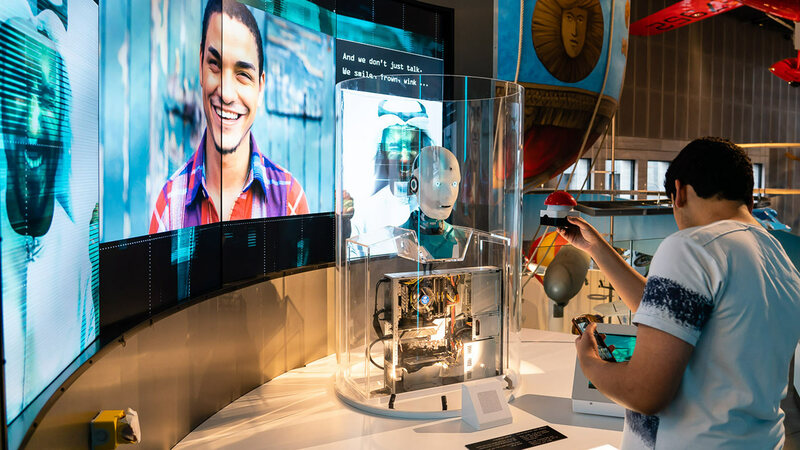 Kiss the Frog was responsible for 33 interactives across galleries about Human Body & Mind, Transport, Health & Well-being, Technology and Robotics. 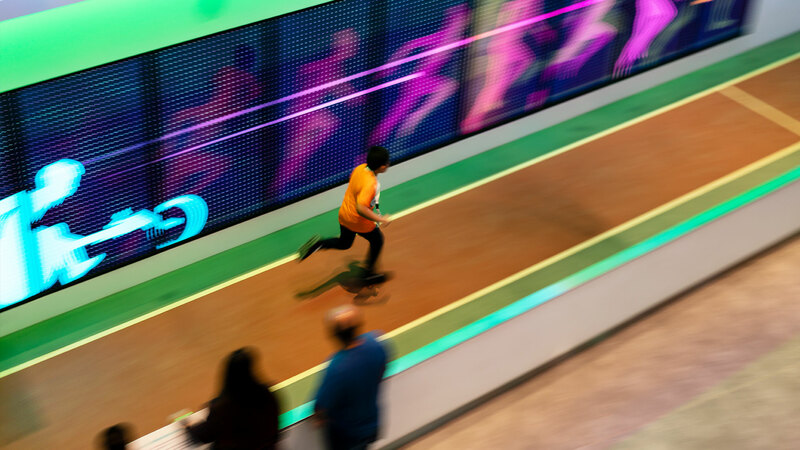 The interactives vary from large touch-table exhibits trough complex integrated interactives that communicate with peripherals such as model race car tracks, printers, cameras and RFID tags. Meet Alan! He is our human robot. He teaches visitors about efforts in robotics to make robots more human-like. Alan is able to recognize objects, respond as a human being and tell stories about the objects. Visitors will program a robot arm and learn that robot arms move very fast, but need the right commands to complete a simple task. It is up to the visitors to program the robot. In this interactive visitors can run against Usain Bolt. Activate this exhibit with an RFID card and record a personal time that will be shown on a large leaderboard. An international venue like this cannot operate without control over its own content and user generated content. Our content management system (CMS) called Backstage Content gives full control over the text in both Arabic and English, including images, video and audio files. 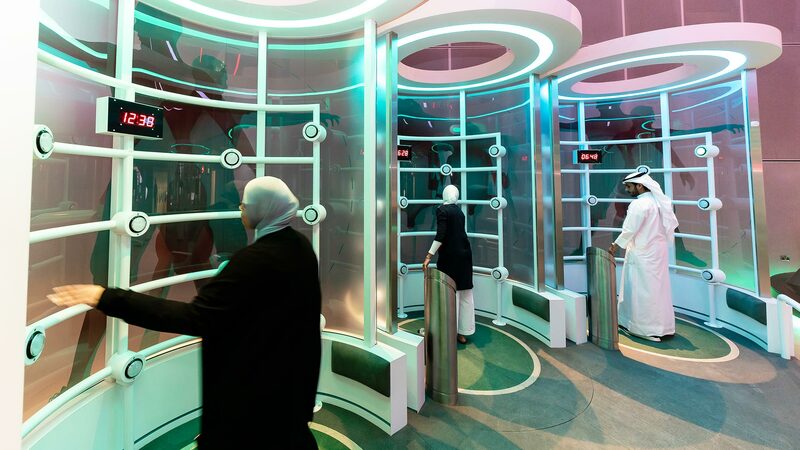 This interactive offers a hands-on flying experience, without jumping out of a plane! In this game two players race against each other. Both select four criteria (shape, spoilers, height, materials) to build their most aerodynamic car. Start the race and watch your car compete against the other player on a physical race track. Visitors register with their personal RFID card at the interactives. The achieved scores and progress that they made during their visit can be revisited and shared, from the moment they are created onwards. Photos: David Copeman.